I bring tech to life. I love to partner with designers to brainstorm, experiment, iterate, create proofs of concept and work out UX problems. I firmly believe that all projects should involve a technology voice from the beginning, and that the goal should be to offer creative solutions in addition to identifying problems. I have been developing interactive applications for the web + physical environments for the last 10 years and it is my passion. The only thing that excites me more than coming up with an amazing concept is bringing it to life as a lean, tested, rock solid application that meets or exceeds design specs. It is much harder to have an application performing well after one year than it is on day one. Meeting the deadline is only half the battle, so I strive to deploy and maintain software with thoroughly commented code, clear and concise documentation, and quick + friendly support. 16 exciting new ways to explore art with technology. Calming cancer patients with an immersive environment. An interactive exploration of baseball data. Pushing multi-user interactives to the limit. I graduated from The College of New Jersey in 2006 with a design degree. I began working full-time as an interactive designer, and occasionally I was given the opportunity to code some of my designs. I quickly realized I loved writing code, so I decided to take my new found passion to the next level. I arrived at Parsons determined to get better at development and combine code with my passion for design. I learned not only the practical side of things (C++, OpenGL, Physical Computing, Full-Stack development), but also conceptual thinking, rapid prototyping and iteration. 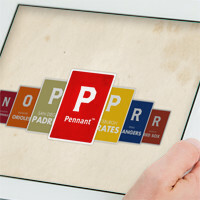 I decided to create an iPad app, Pennant, as my final thesis project. This combined three of my passions: code, design and baseball. I released Pennant in early February 2011, right before MLB Spring Training. The results were more than I could have ever expected. It quickly shot up in the app store ratings and received a ton of media attention. This culminated when I received a phone call in the late spring from Apple, asking me to come to San Francisco to accept an Apple Design Award. Before, during and after my work on Pennant I was also involved in numerous contract + freelance jobs. 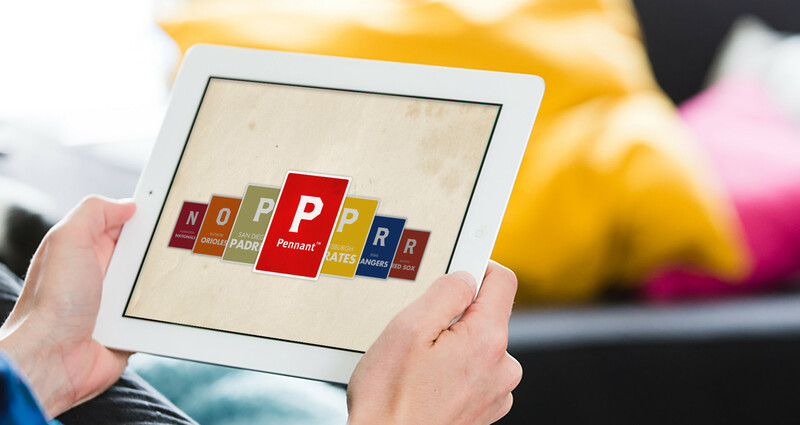 I had a retainer with ESPN to design and develop interactive pages for their magazine app and I worked with SYPartners to create several internal and external digital experiences. 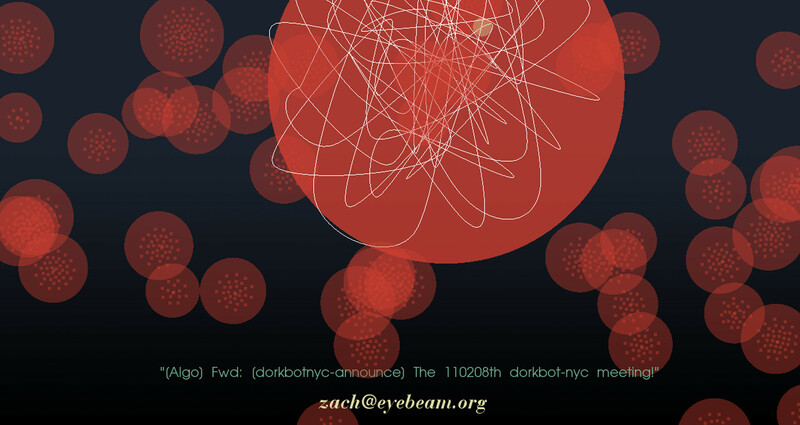 I also created numerous experiments and art projects as both a hired developer and collaborator. 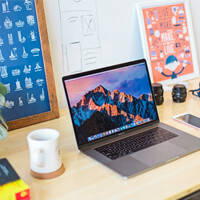 I began freelancing with Potion in mid-2011, and I quickly realized that I had found a place where I could work on exciting projects while learning and being challenged every day. I became a full-time developer later that year. 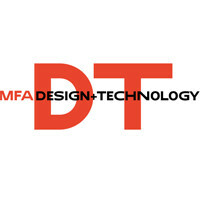 I was named Director of Technology in 2014, and held this position until my recent departure. 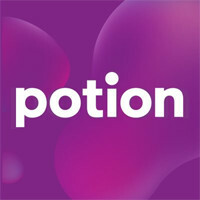 As Director of Technology I was involved in all aspects of Potion’s business, from scheduling and budgets to pitches and client interactions. In addition, I lead a team of 7 C++ developers working on multiple projects, authored the core frameworks and libraries used across all projects, and was the lead developer + software architect on multiple engagements. My wife was offered an amazing job opportunity in the summer of 2017, so we made the tough decision to pack up our dog and leave NYC behind. I am currently looking for an opportunity to create amazing things on the West Coast, so if you like what you see and you want to know anything more please let me know and we can grab a coffee some time. Feel free to drop me a line any time. Message could not be send. Please contact us at steve@vargatron.com instead. 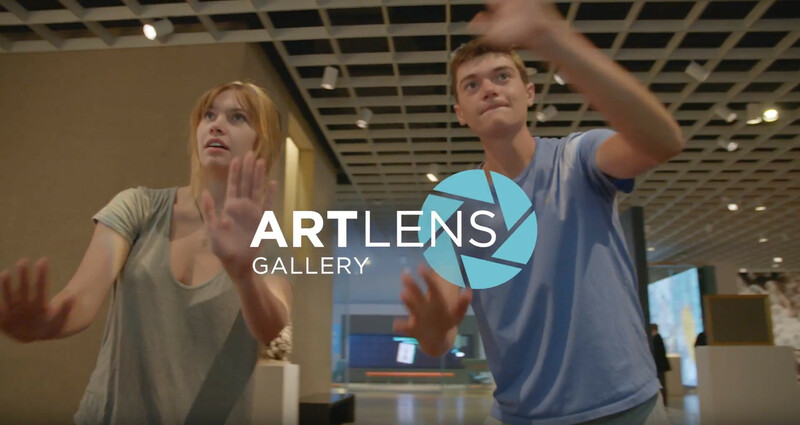 ArtLens Exhibition is an experimental gallery that puts visitors into an immersive world of art and interactivity. The permanent exhibit combines 16 completely custom games with thousands of artworks in the museums collection, allowing visitors to explore, interact with and learn about art. 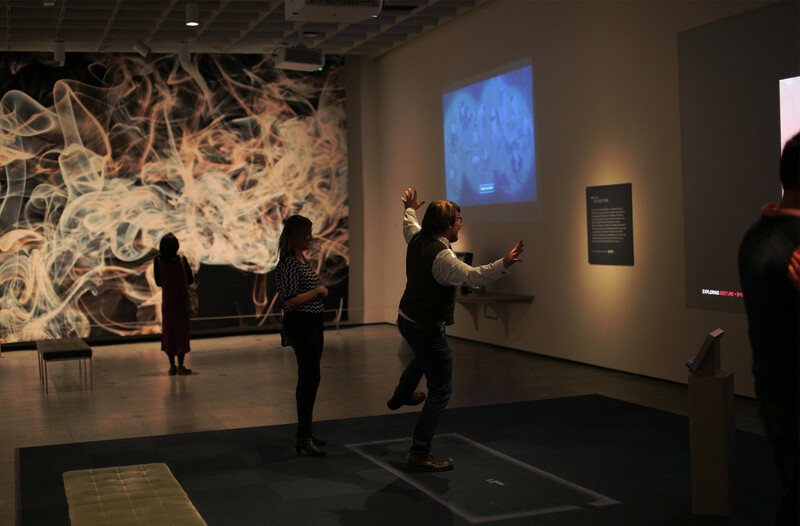 (6) 14-foot tall projections surround the outer walls of the space, each with it's own Microsoft Kinect camera, focused audio and multi-user interaction space. During each game a snapshot is taken of the user interacting, which is sync'd to both a remote server and visitor's mobile device (if they have opted in). A more intimate experience, this single-user seated interactive combines a capactive touchscreen with an SMI Red-N eyetracker. Visitors are asked to stare at various artworks for a set amount of time and see what they discover. They are then presented with a replay of their eye positions, along with those of previous visitors to the museum. Visitors are presented with a rapid display of artworks, and their facial expressions detected, classified and captured. After time has expired an interactive menu allows visitors to see both their reactions and the reactions of others. They can then create animated gif sequences of their reactions and send them to their mobile device for sharing to social media. Forest Friends is a multi-location interactive installation on the Ohio State Wexner Medical Center's Pediatric Radiation Oncology floor. Patients and their families are given NFC-enabled wrist bands that the are able to scan at multiple locations. This allows them to travel with an interactive animal friend who serves as a positive distraction and a model of behavior during each stage of treatment. The waiting room is where patients start their journey and select an animal. 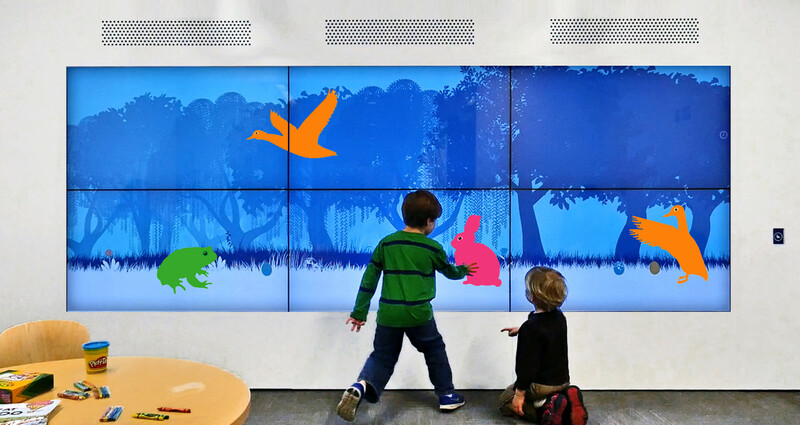 This room consist of a 6 screen multitouch wall where patients can explore a forever-changing landscape, plant trees, discover hidden interactions and play with their animals. An ambient soundscape provides soothing audio for parents, while focused sound domes provide interactive feedback for patients. Three separate exam rooms each contain a multitouch monitor in portrait mode that allows patients to play a 360 degree game of hide-and-seek with their animal. In addition, each unit provides ambient LED lighting that matches the current area of the interactive, allowing the entire room to take on soothing glow. Young patients need to be sedated nearly every day for the length of their treatment, which adds to the anxiety levels, treatment time and overall family stress. The induction room interactive consists of a projection in a dark room that shows a patient's animal friend slowly and calmly walking in the room, yawning and indicating that it is time to rest. This provides a soothing experience more similar to nap-time than a hospital sedation, and helps both patients and staff. At the end of treatment, patients traditionally ring a loud bell so that everyone in the hospital can congratulate them on their achievement and be inspired for their own treatment. We wanted to incorporate this tradition into our expreience, but we did not want the technology to overtake the physical symbol that the bell had become. In order to do this we embedded a small Piezo sensor attached to an ARM-Based microcontroller and had a custom mounting plate fabricated that held all electronics without any visible technology. We then were able to send UDP messages to all of the interactives in the space when the bell was rung, which set off a multitude of animations, animal dances and celebratory sounds. The Art Institute of Chicago had three separate applications, and none of them were working how they envisioned. They needed a new solution that would offer indoor navigation, media playback and membership card functionality all in one app. 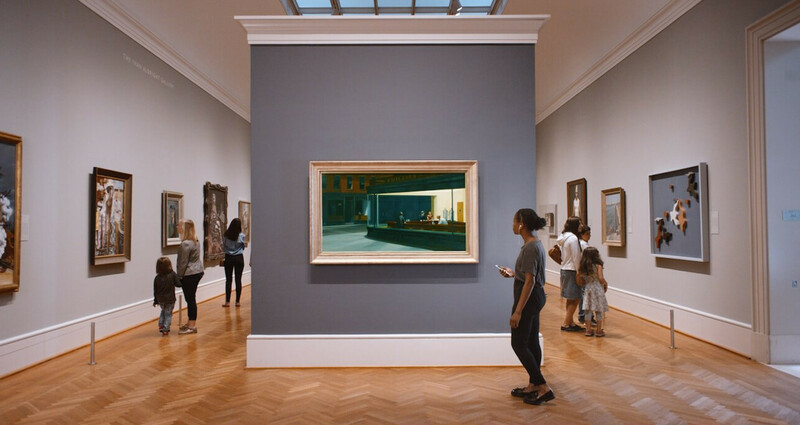 We were able to collaborate with them to plan, develop, test and deploy the next generation of the Art Institute of Chicago's mobile experience. Pennant is an interactive exploration of baseball data that allows users to quickly and accurately recreate and investigate the history of the annual race to be the best team in Major League Baseball. Original Thesis: The past century has seen a rapid progression in the way we see and experience live sports. As we now find ourselves with access to every live game detail imaginable across a multitude of devices, we must now ask ourselves the question “Where does all of this information go?” Pennant is both an attempt to explore the vast amount of baseball data that has been collected in the last sixty years as well as a study in using interactivity as a means for investigating the extremely large data sets that are becoming increasingly available. As of 2017, Topps is sadly no longer supporting the application, which is dissapointing, but overall it was a great 6 year run and an amazing learning experience. Smithsonian Networks is a joint venture between CBS Corporation's Showtime Networks, Inc. and the Smithsonian Institution. 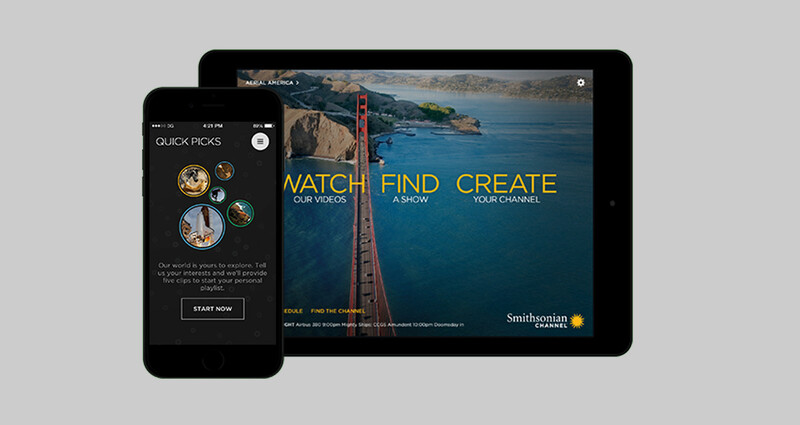 As a new network the Smithsonian Channel needed a mobile experience that emphasized discovery, making it easy for users to experience the shows that interested them and keep coming back for more. 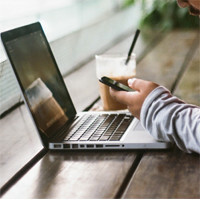 What began as an iPad experience in 2011 slowly evolved into a multi-platform, multi-device ecosystem. I was a core member of the first several versions, and as the scope of the project evolved I worked with the network, designers and multiple development teams to expand the product while leveraging a shared front-end and back end. Each experience is uniquely tailored to a specific form factor, offering not only full access to the network's catalog of shows but also a unique way on each platform to keep discovering all the great content that Smithsonian Networks has to offer. 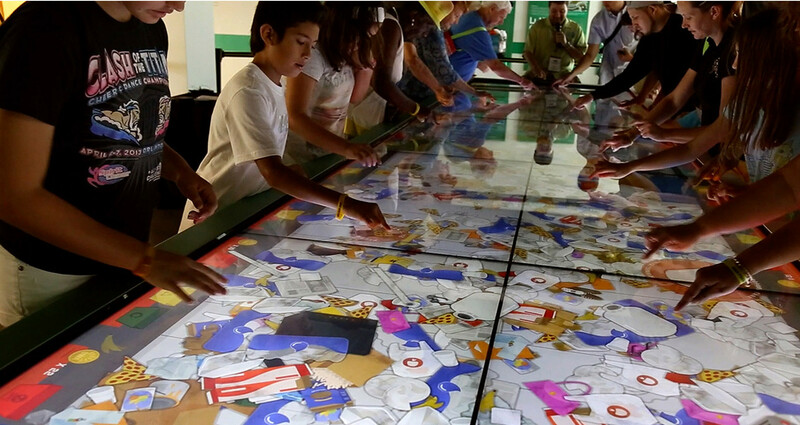 Reduce, Reuse, Recycle and Rethink is a 20+ person multi-touch interactive in West Palm Beach, FL. The Solid Waste Authority of West Palm Beach recently completed their $1 Billion waste to energy facility and needed away to explain it to a diverse range of tour groups. Allow tour leaders and educators to switch modes, trigger videos and start/stop games at any time. In order to accomplish this we created at 10 Screen/36 touch experience with 5 distinct modes. These modes and the interactives within them are controllable by the group leader using a cross-platform mobile application. 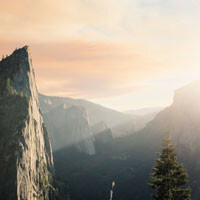 This means that each tour can be uniquely timed and the group leader has the power to define their own custom experience. Welcome mode: When the group first arrives a custom message welcoming to the facility can be entered using the mobile app. Interactive Map: A full-table map of both Palm Beach County and the facility, including live streaming videos from various stages of waste to energy, semi-live tracking of trash trucks and in-depth information about the various processes taking place. Sorting game: The group plays as a team, attempting to hand-sort as many incorrectly recycled products as possible before they reach the trash. 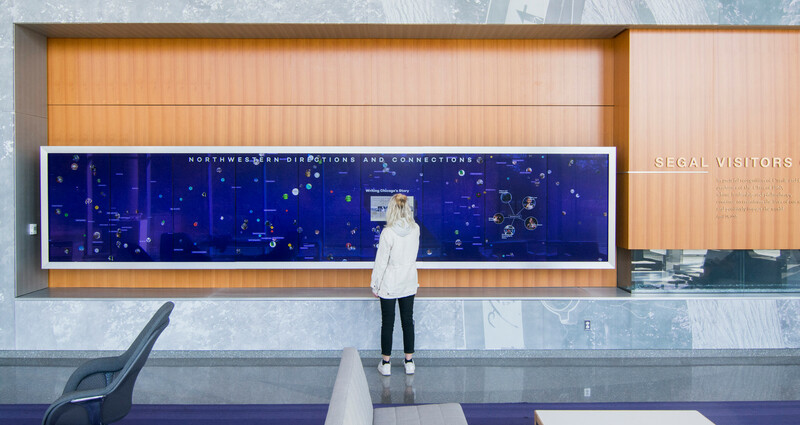 The Northwestern University Connections Wall is a 13 foot wide 9 user Multi-Touch experience at the Segal visitors center. The goal of this wall is to connect prospective students with the history of the University in a way that shows off the present day high-tech focus.